Solar wind flowing from this large coronal hole will sail mostly south of Earth. Credit: SDO/AIA. Noctilucent Clouds As of Nov. 22, 2014, the season for southern hemisphere noctilucent clouds is underway. The south polar "daisy" pictured below is a composite of near-realtime images from NASA's AIM spacecraft. Learn to photograph Northern Lights like a pro. Sign up for Peter Rosen's Aurora Photo Courses in Abisko National Park. 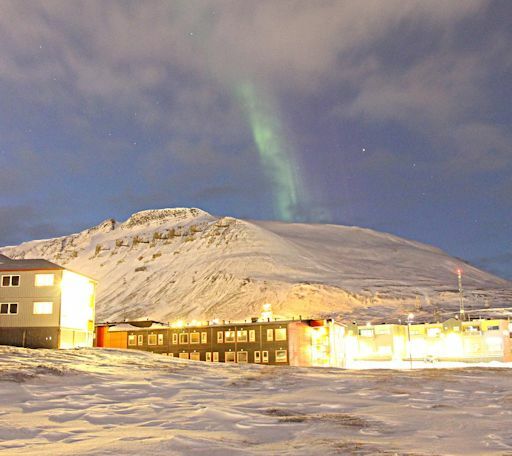 "This was our first observation of a *dayside* aurora," reports Robert Chalmas of Longyearbyen, Svalbard. 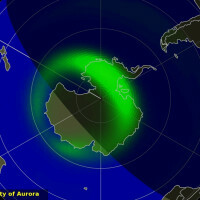 "It happened between 12:30 and 13:30 local time with the sun just 12o below the horizon. 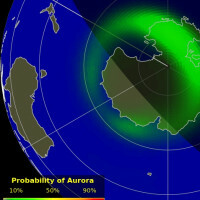 This kind of aurora can be observed only at very high latitudes. It is not as spectacular as nightside auroras, but it has a special beauty all its own." Rhemann used a 12-inch remotely controlled telescope in Namibia to photograph the comet on Dec. 23rd. 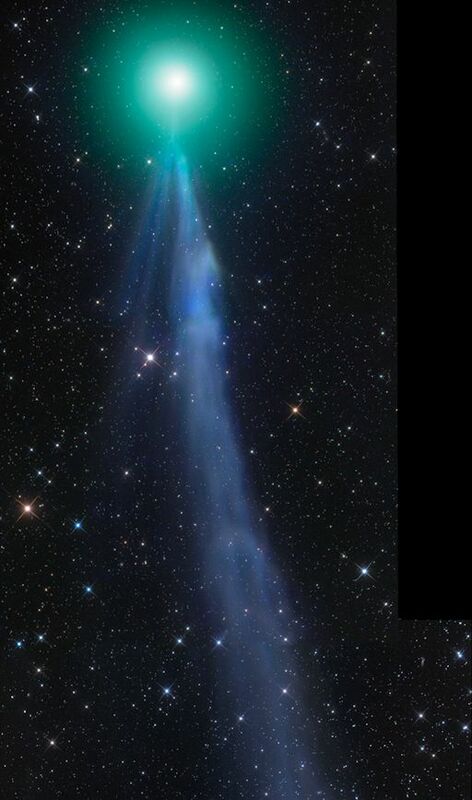 Lovejoy's sinuous blue tail was so long (more than 6 degrees of arc) he couldn't fit it into a single field of view. "I had to combine six frames," he says. In fact, it is even too big for this web page. Click on the truncated tail, above, to see the whole thing. He took the picture more than a week ago--and the comet is significantly brighter now. 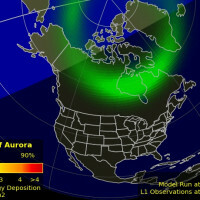 Observers around the world are saying they can see it with the unaided eye from dark sky sites. The comet is shining like a 5th magnitude star, and is expected to double in brightness by mid-January. To the naked eye, it looks like a green fuzzball. Mid-sized backyard telescopes reveal the comet's magnificent blue tail. What happened? 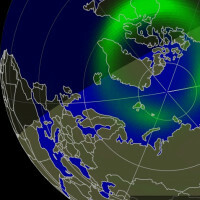 Over a 48-hour period beginning on Dec. 21st, a series of three CMEs passed by Earth, sweeping aside many of the cosmic rays that would normally bombard our planet. The clearing action of the CMEs produced some of the lowest radiation levels of the current solar cycle. Events like this (called "Forbush Decreases") are of considerable interest to anyone who flies on a plane. Airline passengers, pilots, and flight attendants all absorb cosmic rays during their travels at altitudes above ~20,000 feet. 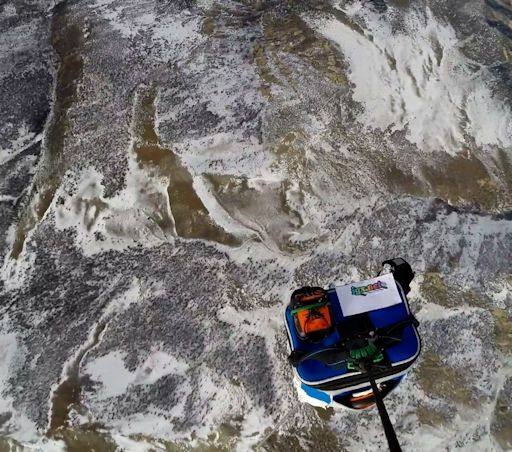 The payload parachuted back to Earth and landed in the Grapevine Mountains of Nevada (not far from Death Valley National Park) on Dec. 24th. A student-canine team have since entered the wilderness and recovered the payload. 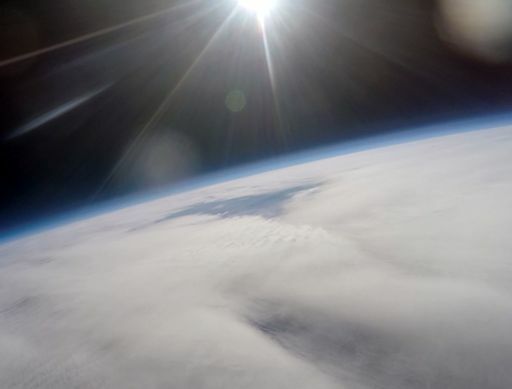 First impressions: The Buoy took some great pictures and recorded a complete profile of ionizing radiation from ground level to the stratosphere. The students will be able to compare these data with dozens of previous profiles measured since 2013 and, thus, discover the effect of the Forbush Decrease on altitudes of interest to aviation and space tourism. Stay tuned for updates. Readers, if you would like to sponsor a balloon flight like Gary Worrell did, please contact Dr. Tony Phillips to make arrangements. On Jan. 1, 2015, the network reported 12 fireballs. On January 1, 2015 there were potentially hazardous asteroids.